As R.D. Sharninghouse mentioned last month, he’s decided to pass on the torch of Memo to Members’ editorship to me. I’d like to thank him not only for this amazing opportunity, but also for all the hard work that he’s donated to this role ever since August of 2013. His service as chapter Secretary continues to this day. Here’s a brief self-introduction: My name’s Nick Ducharme. I graduated this past December from the University of Central Florida (UCF) with a BA in English: Technical Communication. Lately, I’ve been spending most of my time applying to entry-level technical writing opportunities in the Central Florida area. If I were to describe myself with three adjectives, they’d be “friendly,” “introverted,” and “open.” That last one in particular means that you’re all more than welcome to come and introduce yourselves to me; I really enjoy new people, perspectives, and experiences! On that note, we have some fantastic experiences lined up in this month’s newsletter. Highlights include the UCF-sponsored chapter meeting and workshop coming up in just a few days, as well as the rapidly-approaching application deadline for UCF students interested in the Melissa Pellegrin Memorial Scholarship Fund for Technical Communication. Our team is also launching a monthly blog about interesting topics in technical communication. 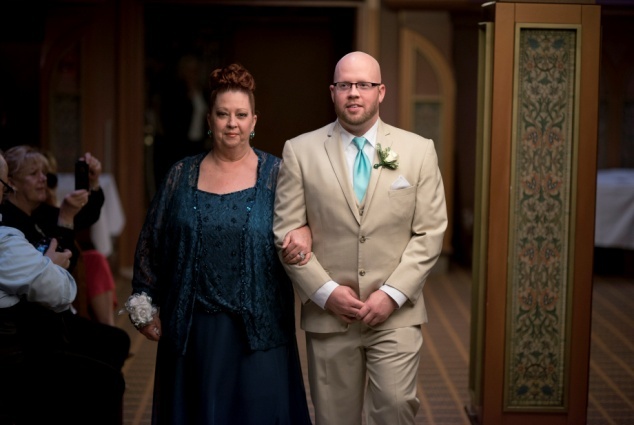 On 2/1/15, my firstborn son Eric married the love of his life, Heather. 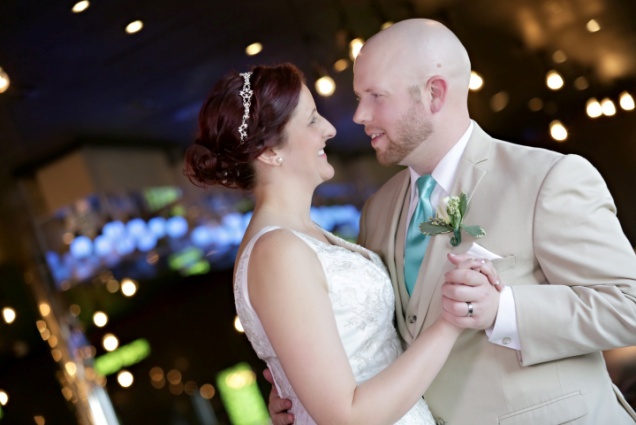 It was a beautiful weekend that included a bachelor/bachelorette bowling party, a rehearsal dinner, and the main event: a beautiful ceremony and reception on a cruise ship. It was an incredible ending to year-long, nonstop saga of laughing, crying, detail wrangling, problem solving, decision making, and fretting. . . .And then all of a sudden. . .it was over! 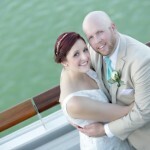 The couple chose to get married onboard the Carnival® cruise ship Liberty® while it was in port. Guests, family, and friends came in for the weekend for parties and then boarded the cruise ship on Sunday for the event. Everything was gorgeous from the weather to the wedding party and guests, the bride and groom, and the beautifully written ceremony. 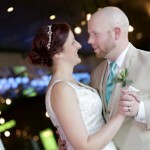 After the vows, we moved right into a nightclub on another deck to have the reception. We ate, drank, laughed, cried, danced, and tossed the bouquet. . . . and when the celebration was over, we all left the ship, tired and happy. 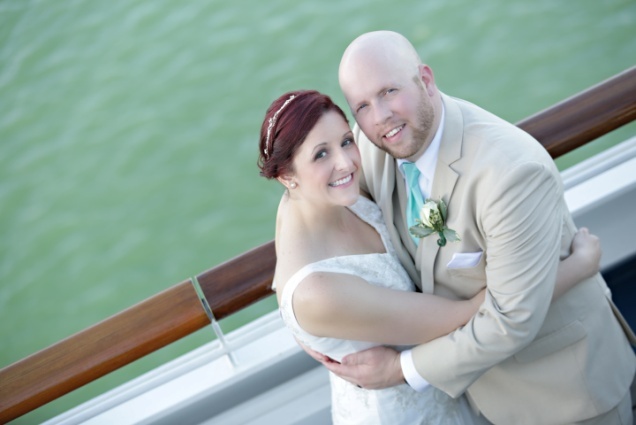 Eric and Heather stayed on to cruise their way through their honeymoon in the Eastern Caribbean. While I reflected on what a wonderful time the whole weekend was, I also tried to figure out my message for this article, as I knew I had to get it out quickly — and then the thought hit me. I remembered all of the things I was able to do to help this couple save money starting out because I am a technical communicator. It started with the wedding announcements. I helped write the announcement for print and for social media. With the couple’s input, I designed, wrote, and printed wedding invitations. I created the rehearsal dinner invitations, menus, and the welcome banner. I re-wrote the horrible instructions sent by the cruise line required for the guests and wedding party to attend the event; I was able to decipher them, put them into more user-friendly verbiage, and then match the look and feel to the invitations. When I was done with them, they clearly articulated all of the necessary required security rules and boarding information. . . .
You should have seen what a mess the original that I received from the cruise line was. Disaster! There was no way anyone never attending a wedding onboard a ship could have figured out what to do. 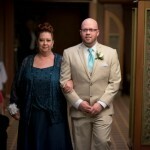 The newlywed couple is incredibly grateful, but I had a blast doing it and was happy to help. It also occurred to me: What a great way for new technical communicators to add to their portfolio. In the end, you may never really know how much doing something like this helps your career, or what kind of huge payoff it may have in other ways! I think back to the start of my technical editing career, during the days when collaboration meant marking up hard-copy printouts and reading specs in shared folders on the LAN. This was not a problem. After all, I worked in a single office where face time was a matter of walking down the cube corridor. Fifteen years later, however, my company’s writers and developers are now spread across continents. Assembling content requires different tools and a whole new mindset that we are still figuring out. While our two-part event features collaboration, it also exemplifies its practice within our STC community. Our Future Technical Communicators (FTC) chapter secured Bernard as a speaker. Topic ideas flew back and forth via the administrative council list; excitement grew as Christopher joined the mix and the workshop particulars were ironed out. There were some anxious moments, but the result is effectively a mini-conference that we are sure to be proud of. Special kudos to Jordie Rutledge and Karen Lane for their intrepid organization efforts, and to Alex Garcia for his help in navigating the UCF funding process—not to mention ordering the barbecue! If you’ve just been waiting to attend an STC chapter meeting, this would be a great place to start. Your STC chapter is here to collaborate with you on your career. A New Approach to Career Planning and Advancement, which hit #5 on Amazon’s Career and Resume Bestseller list in 2014. He has also generously provided us with a written recap of his presentation, from which this article was fashioned. As for how branding and positioning tie into personal branding, Jack posed the following question: Why do some companies underestimate the value of individual technical writers? His answer: Lack of personal branding! Just as a company creates a brand and promotes why people should buy its products or services, so should we create our own personal brands and promote why people should buy our products or services. Jack borrowed an example from STC fellow Andrea Ames, who responds with “I solve business problems” when others inquire about what she does for a living. Andrea uses a very personal and creative method to describe her approach to her job, which speaks volumes over “I’m a UX designer” or “I write release notes.” It sounds more unique her way; it sounds more valuable. Effective branding and positioning on a personal level can communicate why companies should buy your services and pay the rate or salary that you want to be paid. Everyone is welcome to come and join us this coming Thursday and Friday, February 12th and 13th, for a free meeting and workshop at the University of Central Florida (UCF)! 4Rivers barbecue provided at meeting while supplies last! Networking Reception downstairs at Wackadoo’s Grub & Brew around 9:00 PM. This two-day event is the result of an annual collaboration effort between STC Orlando Central Florida and UCF’s Future Technical Communicators club. Below, we are providing a flier with more information, a parking map with directions, and RSVP links for both days. I look forward to seeing several of you at the event! Are you a Technical Communication student pursuing a career in technical communication? Do you know someone who is? If you answered “yes” to one or both questions, the following information could be very important for you. For over 15 years, our chapter has partnered with the University of Central Florida (UCF) to offer annual scholarships to exceptional Technical Communication students. All of this is in the honor of Melissa Pellegrin, UCF alum and valued member of the STC community, whose untimely death in 1997 sparked a phenomenal wave of community support. Melissa’s legacy lives on through the paid education of other promising individuals in the field. We encourage all undergraduate, graduate, part-time, and full-time UCF students to apply for this scholarship opportunity. Annual awards are either $500 or $1,000, depending on the number of recipients selected to receive this honor. Those selected will also have their names added to a winners’ plaque that remains on permanent display at UCF. An individual may win this award up to two times: once at the undergraduate level and once at the graduate level. The deadline to apply is Monday, February 23rd, at 5:00 PM. To apply or to learn more about Melissa Pellegrin and this program, please click here. My name is Tavia Record. I’m the editor of On The Record, the new Orlando Central Florida STC community blog. 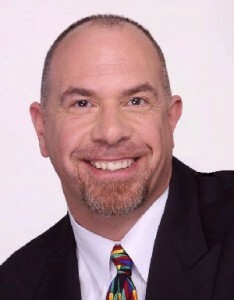 Inspired by my desire to connect with technical communicators, professionals who use the talents of technical communicators, and anyone interested in breaking virtual bread over trending topics, I look forward to covering “curious cases” and sharing various perspectives on the best practices in the technical communication field. Feel free to comment in the spirit of stirring up tasty discourse in the comments section, or please email tavia@stc-orlando.org. Make sure to check back next month for a special feature interview with. . . well, you’ll have to come back to find out! Many apologies to our esteemed colleague and friend in Pennsylvania. Lori Corbett, long-time member of the Orlando Central Florida STC Chapter and former chapter president, is of course an associate fellow of whom we are very proud. Karen Lane has asked me to re-publish her list of this chapter’s fellows and associate fellows from January to include this correction, which you may examine below.